Rebuilt Spicer Truck Transmissions & Spicer Auxiliary Transmission Exchange. Home › REBUILT SPICER TRANSMISSIONS. Spicer Transmissions and Rebuilt Spicer Auxiliary Transmissions for Trucks. Welcome to the Spicer Transmission Exchange. We Supply new, used and rebuilt Spicer truck transmissions, differentials, transfer cases, axles & parts to repair facilities and end users all over the World. We offer; Spicer Exchange Units, Professional Rebuilding Services, Factory Reman Units, Genuine OEM and Aftermarket Repair Parts, and PTOs. We specialize in new, used and rebuilt Spicer transmissions and truck: Transmissions, Differentials, Power Take Offs Transfer Cases and Axle. We Supply a One Year Unlimited Mileage Warranty on all Rebuilt Spicer Transmissions. 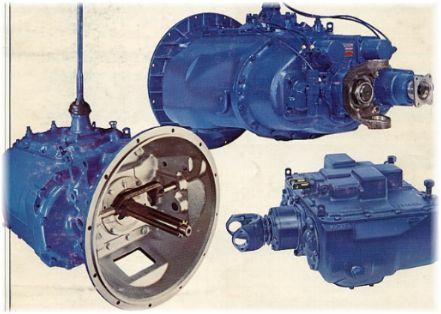 The Finest Quality Rebuilt Spicer Heavy-Duty and Auxiliary Transmission Exchange. Our reputation for the highest quality rebuilt heavy duty truck transmissions is known throughout the worldwide trucking industry. 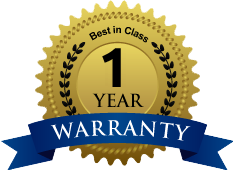 You will receive the best customer service after the sale and the finest rebuilt transmission on the market when you purchase from us. Our rebuilt models are comparable to a new one from the manufacturer at a fraction of the cost. Rebuilt Spicer Transmissions, Dana Spicer Transmissions, Parts, Axles, Differentials, Transfer Cases and PTO Sales, Service and Repair. Heavy duty Spicer models for trucks come in 5, 7, 9, 10 and 18 speeds and we stock them all. Rebuilt exchange units are ready to install and will save you downtime and money over rebuilding yourself or having it done and we can be there for you if you need us all over the US. Can your service center do that? The Spicer transmission exchange offers heavy-duty truck transmissions and Spicer auxiliary transmissions, ready to ship today. Pick up a rebuilt Spicer transmission today or we can ship one directly to your door. We can send a truck the same day for US pickup on all transmissions being sent in for rebuilding. Spicer transmission units in: 5, 7, 9, 10 and 18 speeds are available. Hundreds of rebuilt new, used and exchange heavy-duty units and Spicer auxiliary transmissions in stock as well as truck transmission repair parts. Call 855 844-SALE | 855 844-7253 For Rebuilt Spicer Heavy-Duty Truck and Auxiliary Transmissions From a Company You Can Rely On. Service After The Sale and Discount Prices.